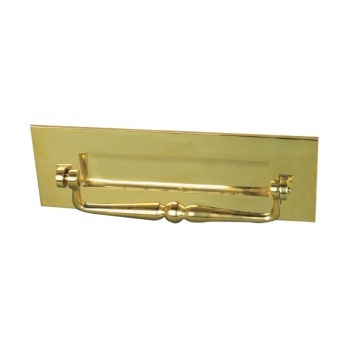 This heavy traditional solid brass or nickel letterplate is an excellent addition to any door. Machine forged, spring loaded flap and with a superior finish, this letterbox will add a touch of gradiose and tradition to any front door. The stylish letter plate has a large aperture capable of recieving A4 letters without folding the envelope. Available with and without the clapper. Dimensions: width 300mm, height 102mm, projection 30mm. 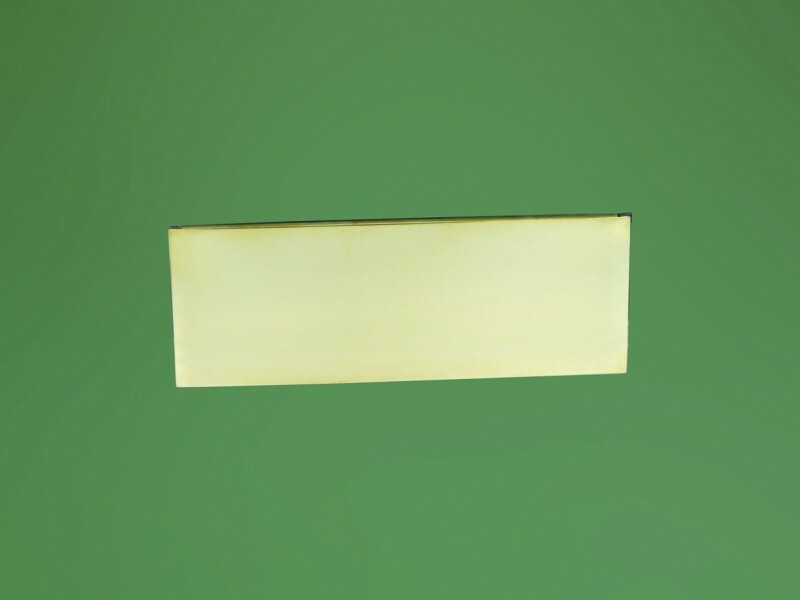 Letterbox opening 200mm x 40mm.